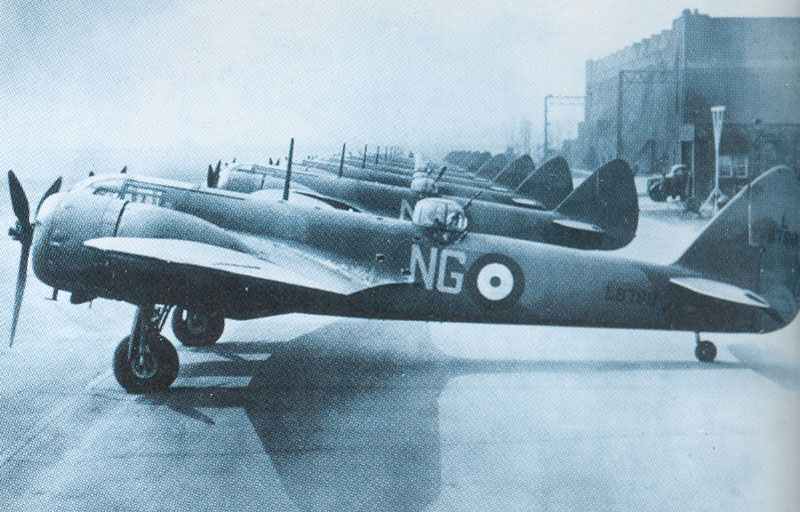 Bristol Blenheim Mk IF heavy fighters. Soon after this picture was taken they acquired the world’s first airborne radar and operated mainly at night. First ‘kill’ by RAF night fighter equipped with AI (Airborne Interception) radar: Do 17 shot down south of Brighton by Blenheim.